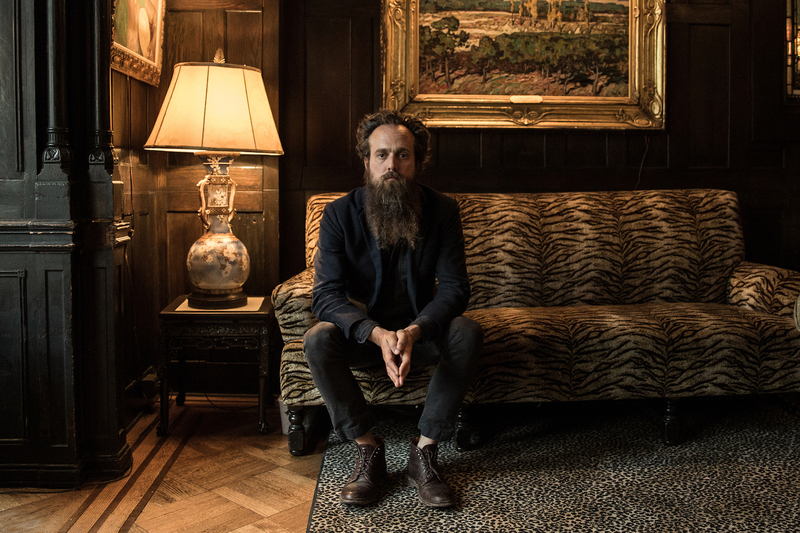 If there’s a perfect album to enjoy whilst basking in the summer sun surrounded by green fields and endless countryside, Beast Epic, the latest musical concoction from Sam Beam, aka Iron and Wine, is it. Packed with gentle acoustic guitar riffs, soothing harmonies, and chilled out tracks, the album has a distinctly rustic feel, and the familiar tone of the record (its style is fairly similar to what we’ve heard from the artist before) feels comforting and homely, rather than predictable as might be expected. Described as meaning “a long, usually allegorical verse narrative in which the characters are animals with human feelings and motives”, Beast Epic seems a fitting title for an album that’s lyrics and tone appear to consider the natural world in a very raw and honest way. The first track of the album, “Claim Your Ghost” is gentle and relaxing, with the lyrics “the garden grows into our street // we’re holding the blossoms up high” demonstrating not only an interaction, but a connection with nature, and also suggest the organic influences of the environment on the album. Similarly, “Thomas County Law” shares the same relaxed vibe, and exudes seamless harmonies and twangy folk guitar riffs. Coupled with “Bitter Truth” and “Summer Clouds”, the album forms a collection of songs that reminisce on a lifetime of experiences, and narrates a story that feels both nostalgic and genuine. When discussing the album, Beam mused “where the older songs painted a picture of youth moving wide-eyed into adulthood’s violent pleasures and disappointments, this collection speaks to the beauty and pain of growing up after you’ve already grown up. For me, that experience has been more generous in its gifts and darker in its tragedies”. Whilst the beauty of life which Beam discusses is communicated in more forgiving tracks such as “About a Bruise”, with it’s assertion that “love can last a lifetime”, the darkness and tragedy experienced is imminently present in tracks such as “Last Night”. Featuring discordant notes and the harsh plucking of guitar strings, elements which together create a sinister and seemingly unfitting tone, the song throws you from the relaxed state into which you’ve been lulled, and perhaps suggests that there are hardships to face at the most sudden and unexpected of times. However, the album draws to a close in much the same gentle fashion as it opened. Finishing with “Our Light Miles”, the lyrics of the track convey uncertainty as Beam sings “what will become of us?”. With Beast Epic Beam’s first release in four years, although the future is uncertain, we hope it doesn’t take another such lengthy period before we hear from Iron and Wine again. Beast Epic is set for release on 25 August via Sub Pop Records and is available for pre-order now.